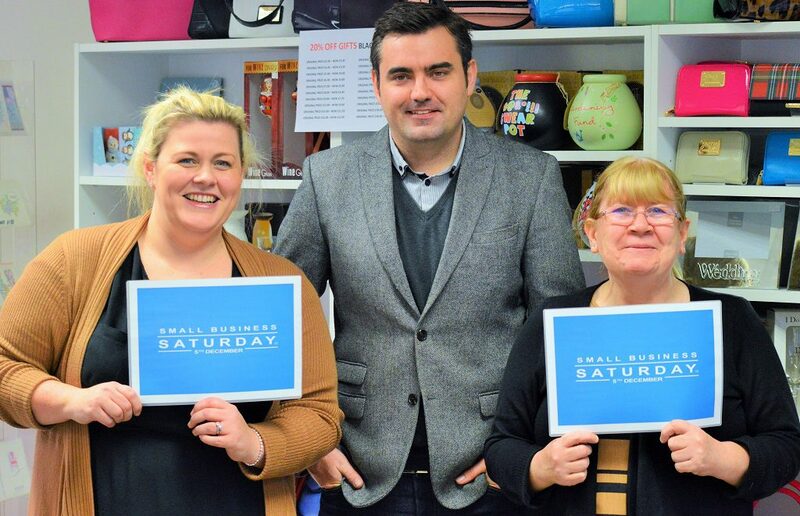 Gavin Newlands, the MP for Paisley and Renfrewshire North, has backed Small Business Saturday 2015 – urging people across Renfrewshire to support local businesses in their towns and villages by shopping local this weekend. Small Business Saturday is a grassroots, non-commercial campaign, which highlights small business success and encourages consumers to ‘shop local’ and support small businesses in their communities. Small Business Saturday itself takes place on the first shopping Saturday in December each year (Saturday 5th December 2015), but the campaign aims to have a lasting impact on small businesses. 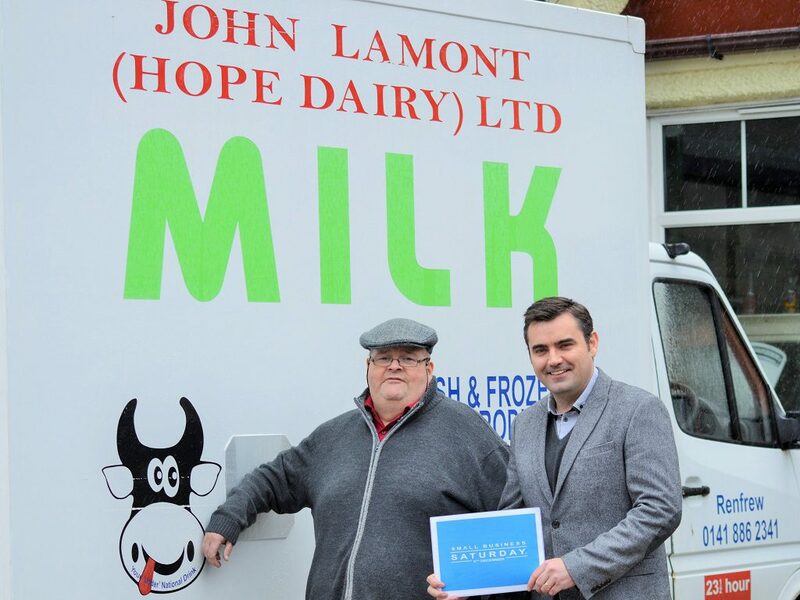 In the run up to Small Business Saturday, Gavin Newlands MP visited Hope Dairy and Sweets and Treats Café – two small businesses in the heart of Renfrew – to raise awareness of Small Business Saturday.